Creating educational podcasts is a great way to blend technology and learning in an iPad classroom. Share student podcasts through SoundCloud, an Internet social audio sharing site. Assignments that incorporate podcasts improve student’s communication and collaboration skills, and sharing those podcasts is an important part of the process. SoundCloud allows registered users to share original music, spoken word, comedy, radio shows, and any other audio recordings. Use SoundCloud directly over the web at the website or from the SoundCloud iPad app. The recording process is simple. 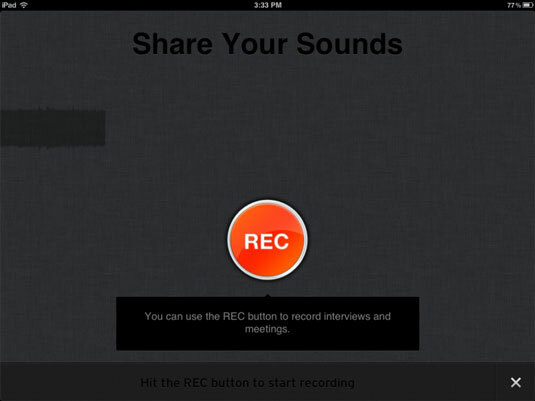 Just open an account, start recording (by tapping the Rec button), and decide how you want to share the audio. You can upload it to your account and share it with the world, or keep it completely private. Complete privacy: It’s secure and will not be listed or appear in search listings. Add their e-mails addresses or SoundCloud usernames. Add a previously created Contact List. Create a secret link (requires a premium account). When you set a recording to private, only users with the URL of the recording can hear it. You can send and share that URL with anyone you please. Create a group. Groups have moderators that determine access rights and contributors that upload and share recordings with the group.